3 May 2016. A technology that blocks RNA molecules from activating chemicals in the body suppressing the working of genes to treat or prevent disease received a U.S. patent. The Patent and Trademark Office awarded patent number 9,328,346 to five inventors and assigned the patent to the parent company of Massachusetts General Hospital in Boston. The technology was licensed to RaNA Therapeutics in Cambridge, Massachusetts, co-founded by lead inventor Jeannie Lee, a professor of genetics and pathology at Mass. General and Harvard Medical School. Lee and colleagues study regulation of long non-coding RNA in epigenetics, influences on genetic activity occurring outside the genome. RaNA Therapeutics develops therapies from oligonucleotides, small pieces of nucleic acids that in the company’s technology target specific regions of ribonucleic acid, or RNA that carries instructions from DNA in an individual’s genes to cells in the body. RaNA Therapeutics aims its oligonucleotides at long non-coding RNA molecules attracting proteins that can modify chromatin in cells. Chromatin forms chromosomes in cells with a nucleus. This interaction of long non-coding RNA and chromatin modifiers, says the company, can suppress the normal expression of genes, thus stopping this interaction activates the gene’s expression and transcription. The patent covers the targeting of long non-coding RNAs, as well as other nucleic acids that regulate gene expression, and methods for their use. In this case, long coding RNAs bind to chromatin modifiers in the polycomb repressive complex 2 family of proteins. These proteins are associated with the creation and maintenance of repressive chromatin environments. RaNA Therapeutics says its technology can be applied to a variety of diseases, with the initial focus on disorders where genes’ expression of proteins in higher than normal levels is beneficial. The first therapies under development are treatments for the rare central nervous system disorders spinal muscular atrophy, caused by a loss of motor neurons in the spinal cord and brain, and Friedreich’s ataxia, an inherited disease causing damage to the nervous system and movement problems. Both programs are still in preclinical stages. 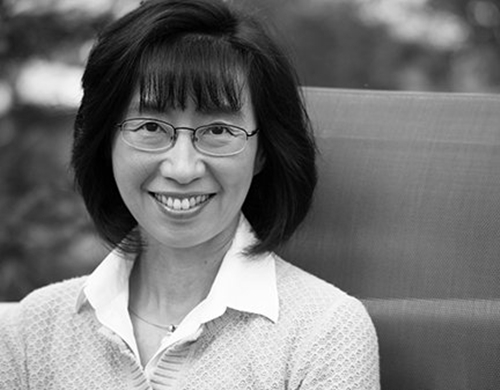 Inventor Jeannie Lee’s work with long non-coding RNA in epigenetics was recognized in her receiving this year’s Lurie Prize in biomedical sciences. The prize of $100,000 is awarded for outstanding achievement by a promising young scientist in biomedical research, by the Foundation for the National Institutes of Health. The award was announced in mid-February.